There is no fee for this event; your only expenses are for travel and lodging, but we need your registration to plan the Capitol visits. Whether you work in a corporate office, plant or branch, your operation will benefit from your participation at the March 20-21 Legislative Conference in Austin. This is your chance to add your voice to the need for fair and balanced regulation of our industry in the state of Texas. Two years ago, we came very close to getting the Texas Franchise Tax Code amended. This year, TRSA is making another effort to amend the Texas franchise tax for commercial laundries to include uniform and linen rental. If successful, the industry’s franchise tax rate would decrease from .75% to .375%. 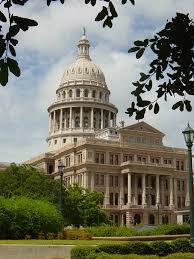 Texas State Representative Drew Darby has introduced HB 1089 which would accomplish the goal. If passed, the new rate would take effect in 2021. TRSA has hired Jesse Ancira of Ancira Strategies to help TRSA guide the process, but Texans must be the ones to make the industry’s case. As a Texan, your participation is required for success. TRSA is engaging both TRSA members and non-members in this effort. Please register today to add your voice to next month’s gathering. There is no charge for this event. In an effort to allow you flexibility, we do not have a hotel room block. You have the opportunity to stay where you feel most comfortable; however, the events will be hosted at the InterContinental Stephen F Austin. Questions can be directed to Kevin Schwalb, 703-519-0029, ext. 107. Please note that the above information is provided only as a convenience should you wish to stay at the Stephen F. In an effort to allow you flexibility, we do not have a hotel room block. You have the opportunity to stay where you feel most comfortable; however, the events will be hosted at the Stephen F.